Mother Nature certainly made her mark on Texas by producing a variety of geological oddities that contain an element of mystery. Most of the nature we admire — mountains, coastal plains and bodies of water — are a result of geological forces. The next time you plan a visit to a town or park, think about digging up some information on its geology to discover your own earth oddity. For now, uncover these fantastical geological features. 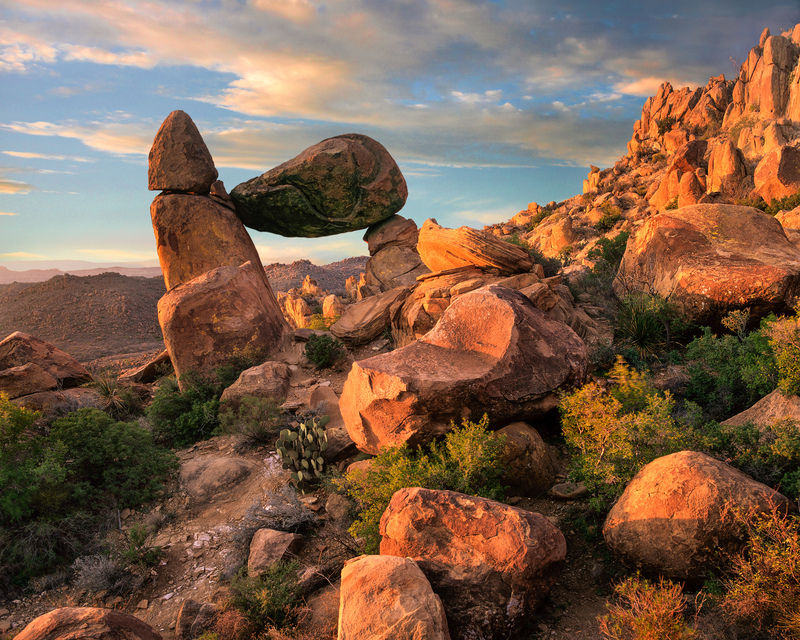 Incredible boulders erupt along the 2.2-mile round-trip Grapevine Hills Trail, but at trail’s end you’ll find the big payoff: a boulder balancing act. One enormous boulder, balanced atop two others, offers a window-like space where hikers often take a selfie. 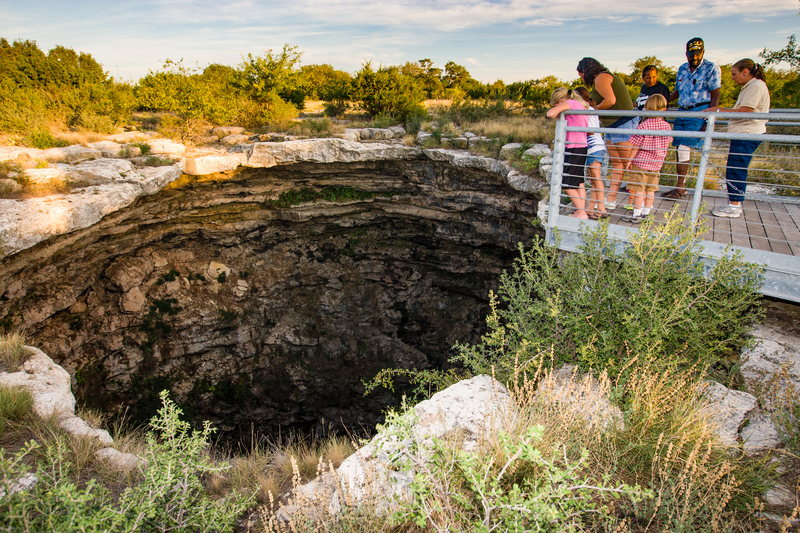 Native Americans believed sinkholes were a passage to the underworld, but this 400-foot-deep sinkhole is instead home to the one of the state’s largest colonies of Mexican free-tailed bats. Visiting Devil’s Sinkhole State Natural Area is by reservation only. 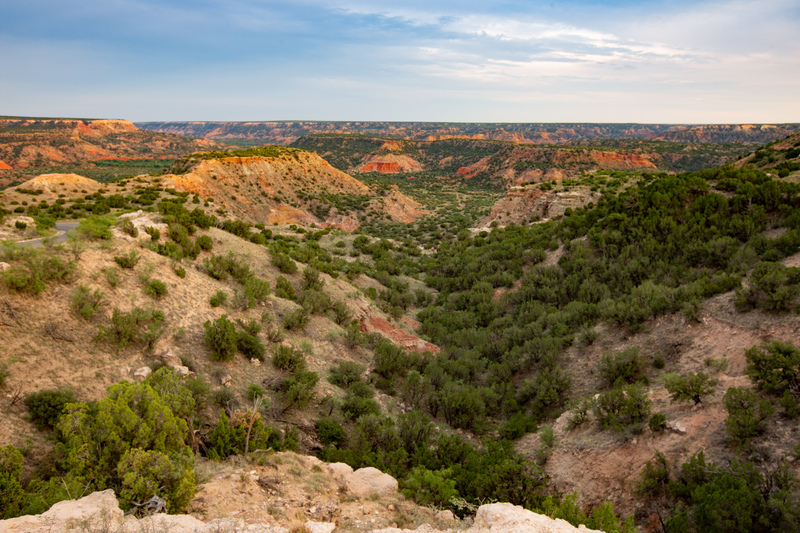 An astonishing break in the Panhandle’s flat landscape is the striking, candy-layered formation called Palo Duro Canyon, the second-largest canyon in the country. The erosive action of the Prairie Dog Town Fork of the Red River over a period of 90 million years exposed the rocks we see today. 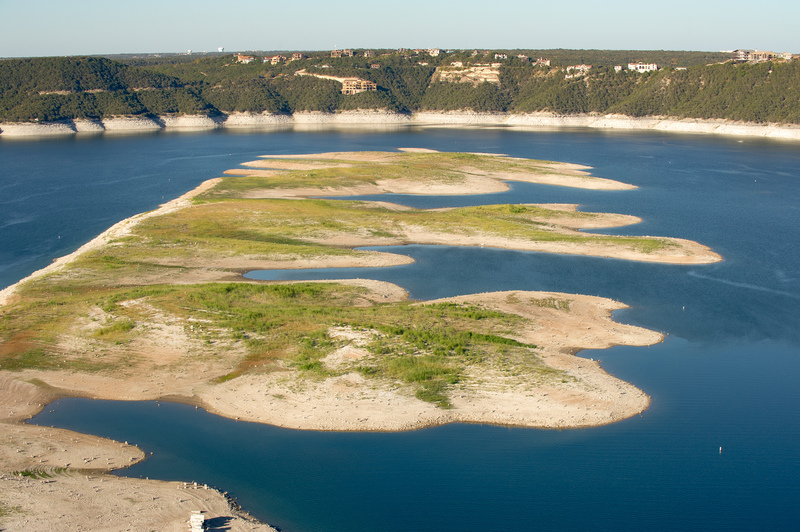 A string of islets, or small islands, in Lake Travis dubbed the “sometimes islands” appear and disappear based on the lake's water level. In drought, the water level sinks and the “sometimes islands” are revealed; when the water rises, they disappear again. In the Caverns of Sonora, you’ll find soda straws (a type of stalactite), popcorn (aka calcified nodes) and cave bacon (layered carbonate rocks that resemble a familiar breakfast bite). 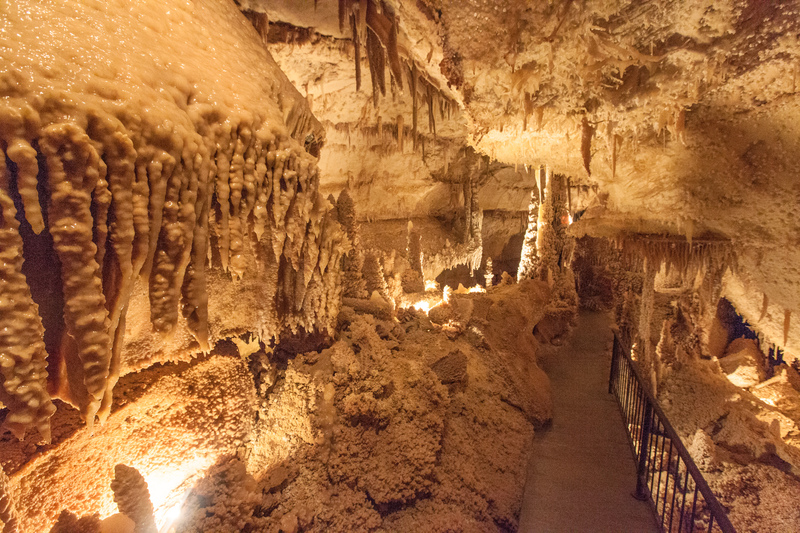 The cavern’s located on a ranch where camping, hiking and gemstone hunting are offered.